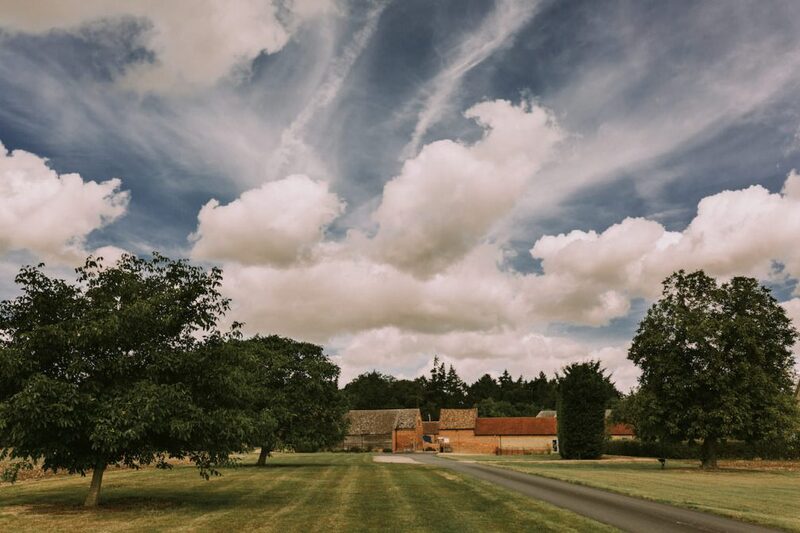 Imagine yourself deep in the glorious Cambridgeshire countryside, having the wedding of your dreams at Bassmead Manor Barns, a unique venue that stands within the Medieval moat of an old manor house. The advantages of this venue are almost too numerous to name. It is a grand farmstead with stunning gardens, a splendid tree-lined driveway, and a footbridge of ornate ironwork. The venue features converted barns old and new: one of these is three-hundred years old and has an antique love-seat. The barn provides the bride and her attendants with a place where they can make their last-minute preparations before the ceremony. Called the Boudoir, this area has luxurious carpets, dressing tables, sofas and a full-length mirror. 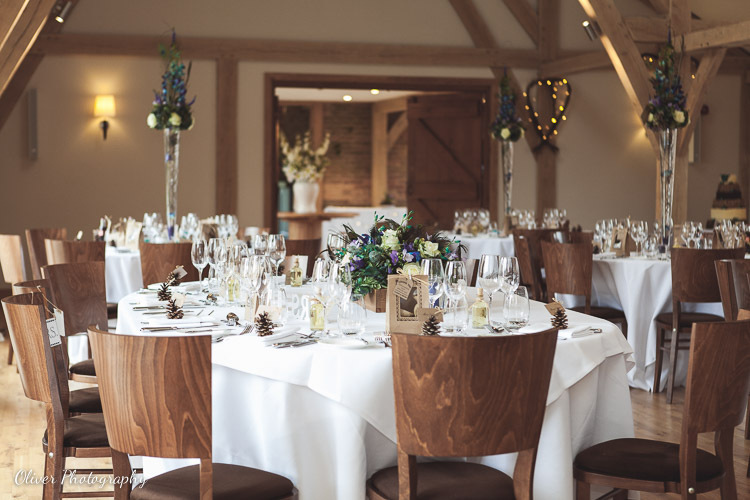 Bassmead Manor Barns has all the elegance and historic charm of a traditional venue but, having been renovated to a high standard, it also boasts all the trappings of modern-day life and is easily accessible from the M1, A1, and A14. It is licensed for civil ceremonies of up to one hundred and fifty guests. 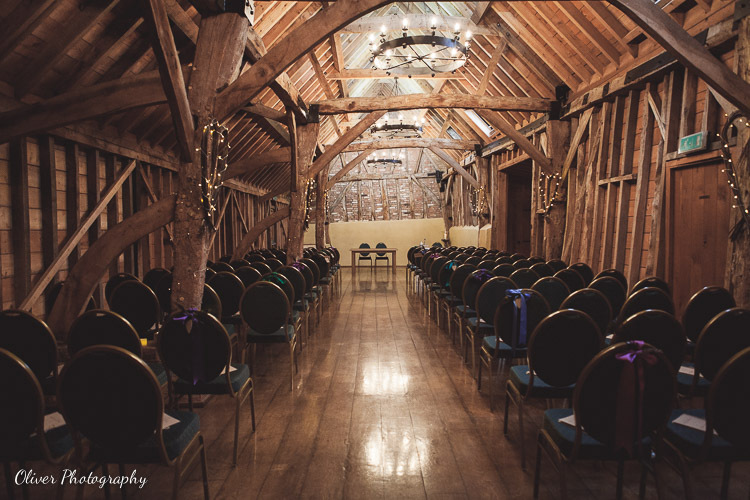 The venue’s oldest building is The Rickety Barn, a cosy timber-built construction that provides wedding ceremonies with a romantic, rustic setting. 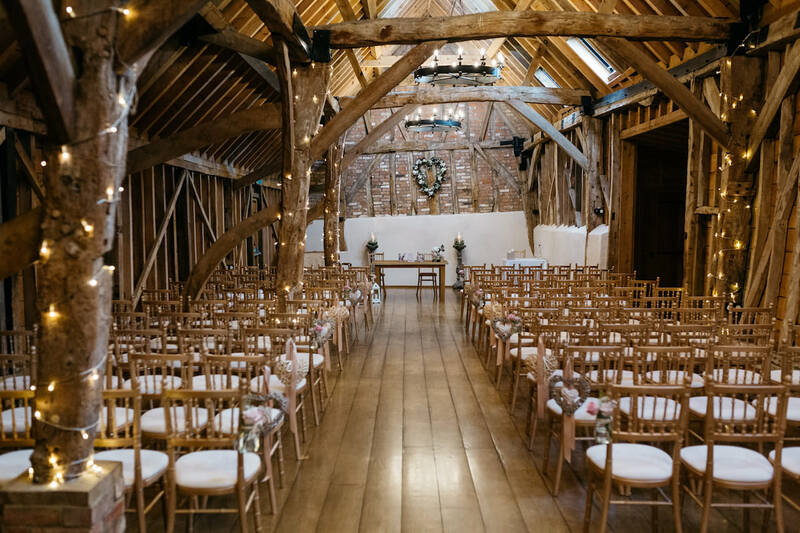 This barn has many charming features: there are wrought-iron chandeliers, wooden beams, and, of course, the love-seat where newly-weds can pose for photographs that will have their own unique character. The two other barns on the site are of more modern origin. 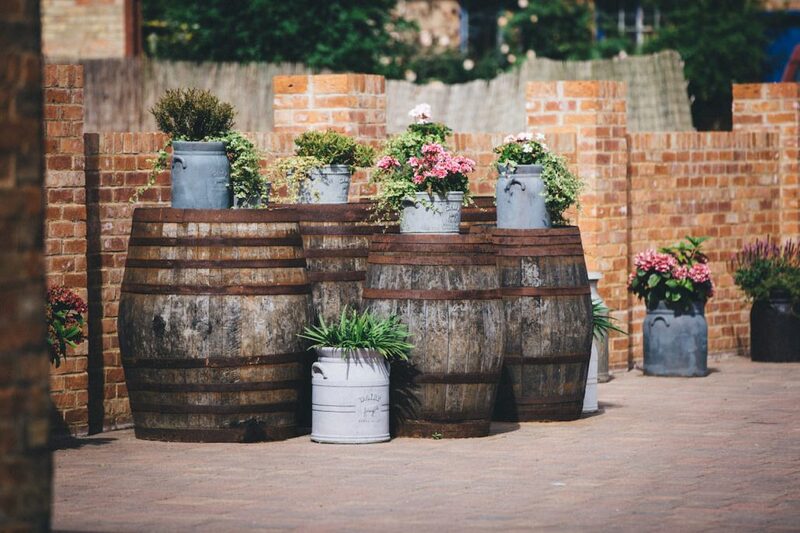 Moat Barn is the place to gather after your wedding ceremony and enjoy drinks and canapés. 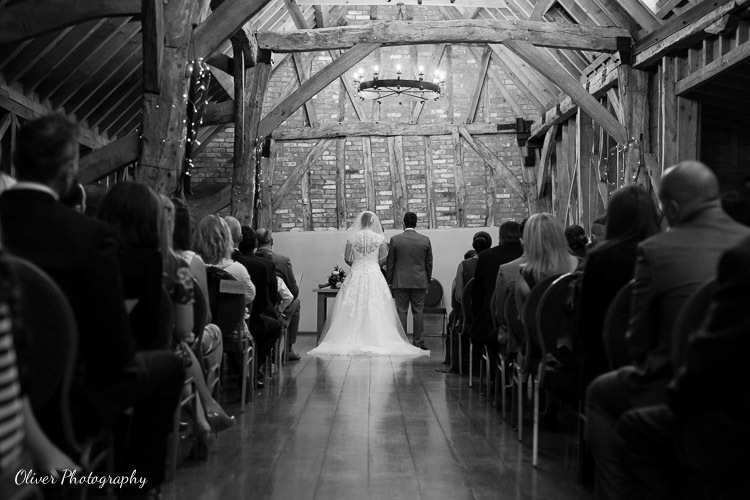 The Bridge Barn will be the setting for your wedding breakfast. You can move freely between these two buildings and out into the garden. 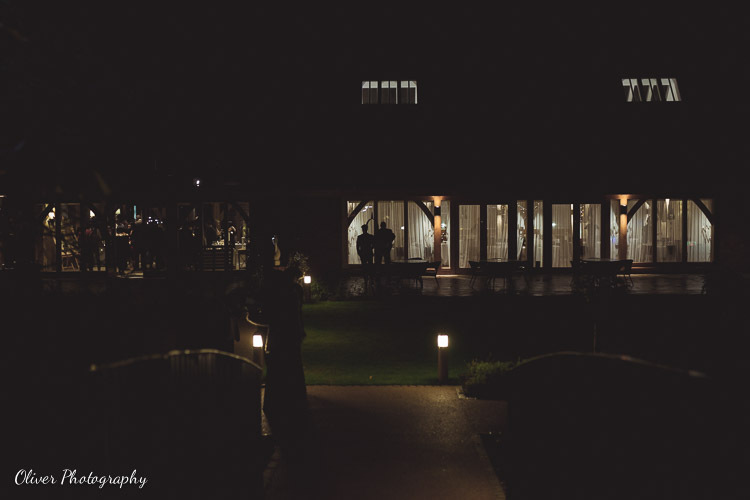 This location will give your wedding photographer many opportunities for memorable formal and informal wedding shots where they will be able to capture all the excitement and good humour of the occasion. 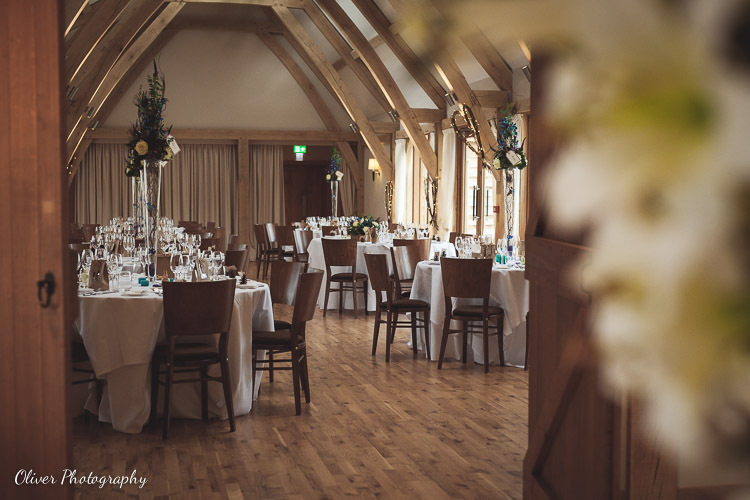 Once you are called in to dine in the Bridge Barn, your guests will enter first, allowing the newly married couple to make a grand entrance after everyone else is seated, hopefully to be greeted by much clapping and cheering! 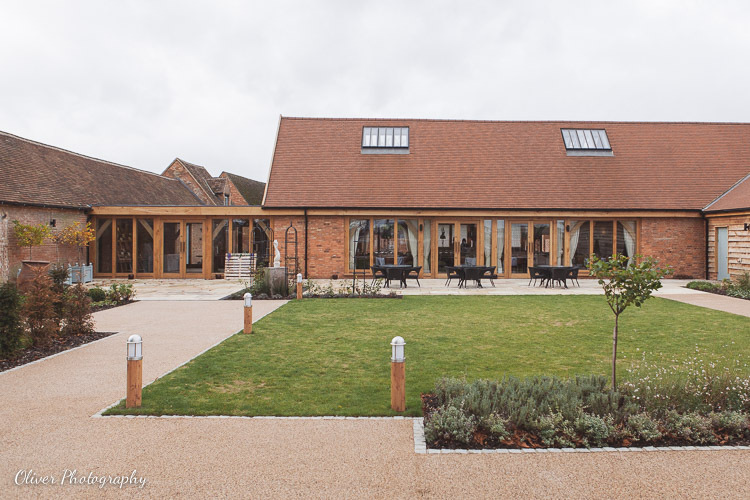 The Barn is bright, airy, and open plan and can accommodate up to one hundred and fifty guests. Onsite caterers, Galloping Gourmet, are committed to providing you with food as good as any you will find in a restaurant. 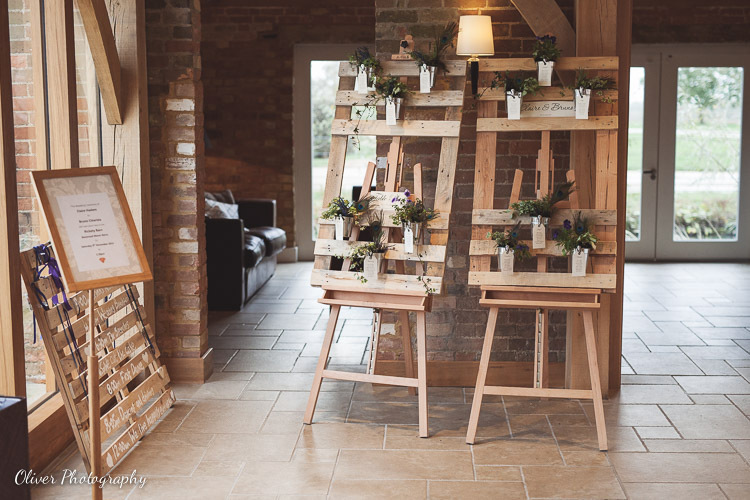 They are experienced wedding caterers, proud to offer excellent service, and they can help you devise a bespoke wedding menu, anything from traditional fare to a barbecue. Tables, tableware, chairs, linen, a glass of wine and bubbly, are all included in the package. There is also a licensed bar, a PA system, and plenty of space for your evening entertainment if you want music and dancing. Up to two hundred guests can be present at your evening reception. When the evening is over, the honeymoon suite awaits. Called Dove Cottage it is mere yards away, standing in a peaceful corner of the garden. A brick-built, luxurious cottage, it is sumptuously equipped, with mood lighting to create a cosy, romantic ambiance. It also has a private patio. Your guests won’t be left out; excellent accommodation is available for anyone staying overnight. Few wedding venues can offer such a magical mix of ancient and modern. As a wedding photographer I find this place amazing for the photographic opportunities it presents. It has grand, elegant aspects that create a unique backdrop for beautiful wedding dresses and morning suits, while at the same time it has the more natural setting of gardens and landscape. There are endless opportunities for reportage-style wedding photographs here too, once the celebrations get underway and everyone is milling about in good spirits, determined to have as much fun as possible. Bassmead Manor Barns is offering £250 off their remaining bookings for 2015 if you book within a fortnight of visiting them. So, if you have fallen in love with the place – and who wouldn’t? –, why not phone them to ask for a viewing? You are guaranteed a truly memorable wedding day in a setting of pure enchantment. 2017 © Peter Oliver Photography - Peterborough Wedding Photographer.